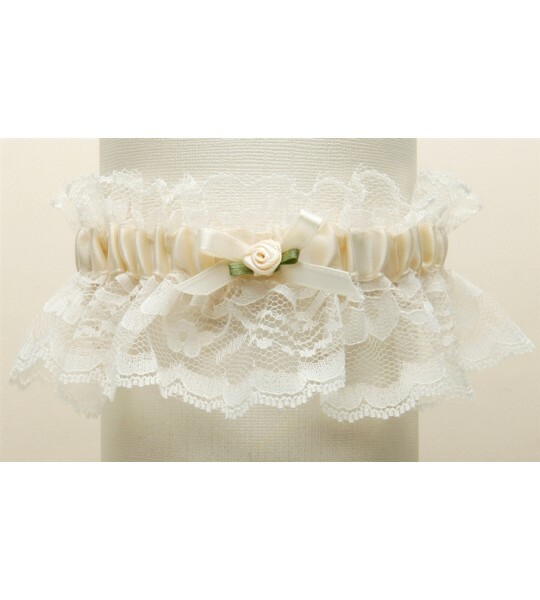 This beautiful and delicate vintage inspired lace wedding garter is a top selling bridal accessory proudly made in the USA! 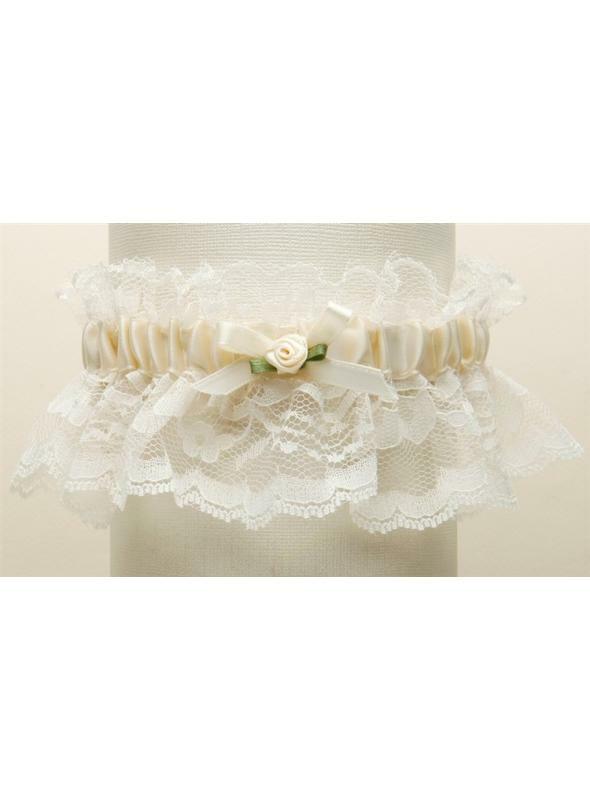 This lovely ruffled lace garter measures 2'' h and features a sating band in the center. 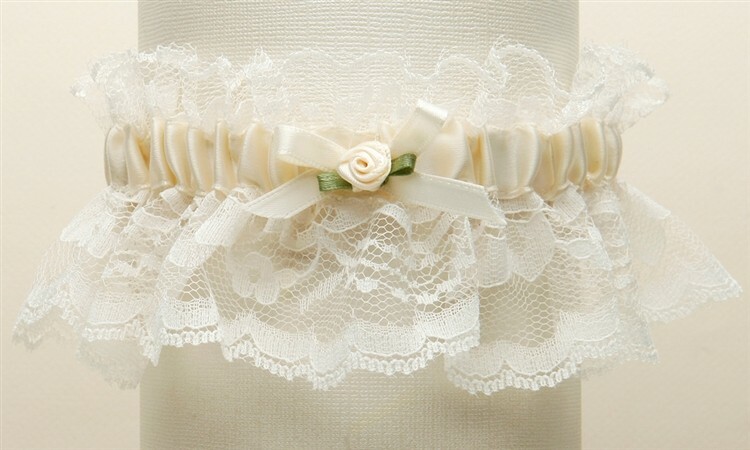 Wear it with one of our Titanic inspired gowns or Inga Nataya Couture line of gowns and choose from a variety of colors like all white, all ivory, white with blue or ivory with blue to create the perfect outfit for your special day. 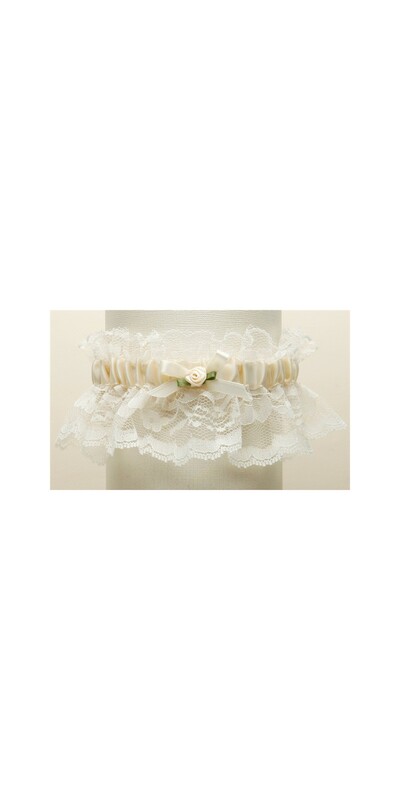 They come in a beautiful box and are hand-crafted in the USA.